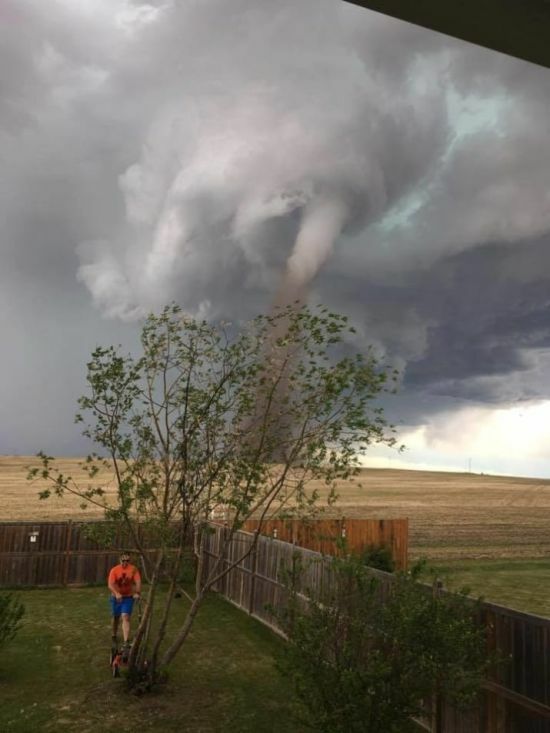 He just really wanted to mow his lawn, so he didn't let the tornado stop him. Well, if he's going to evacuate and return after a few days, the grass will be the size of the house. 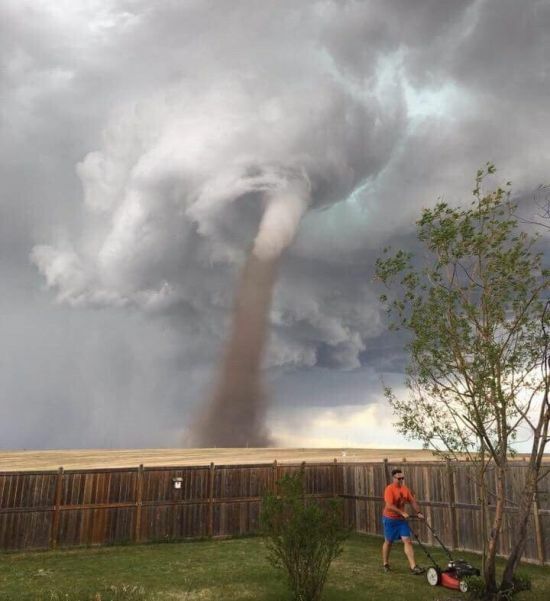 So, better mow first and evacuate after.